To cite: Nyre, Lars (2014) ”BBC Broadcasts to Portugal in World War II: how radio was used as a weapon of war”. Book review for Journalism Studies. 15(2): 238-239. The book is a well-researched, carefully written history of Portuguese media before and during World War II. It compares the propaganda strategies of the fascist Salazar regime and the democratic BBC (and in consequence the Allied powers). 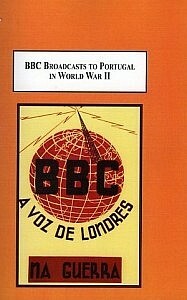 BBC Broadcasts to Portugal in World War II: how radio was used as a weapon of war”. The writing style of the book is very good. It has clear, descriptive sentences in accomplished English language. In this technical sense, it is very easy to read, and the pages flip by at a comfortable pace. Part 1 deals with propaganda and persuasion, basically by recounting classical theory about propaganda from Cicero to Jacques Ellul. This important beginning is oddly not grounded in Portugal, but relates mainly to Anglo-American civilization. Although Portugal is presented comprehensively in the book as a whole, its history should have been involved from the very beginning. Part 2 is a broad political history of Portugal, and may be the most interesting part of the whole book. The coup d’état in Lisbon in 1926 put an end to the First Republic, and the conservative catholic regime “Estado Novo” was established with the former minister of finance António de Oliveira Salazar as a driving force. “The nation would once again rediscover itself, returning to its traditional values through a political system based on corporate organization […] in the presence of strong authorities that were capable of guaranteeing that the country could pursue its natural path, an integral part of which was the mission to consolidate” (p. 125). Salazar consolidated the Portuguese empire during the years up to the Spanish Civil War in 1936, and strengthened the grip at the outbreak of WW II. Salazar was the de facto dictator of Portugal until he suffered a stroke in 1968. The country’s political history is dramatic, and almost tells itself. The bulk of the book (parts 3 – 6) is a harder read, with almost 400 pages dealing in great detail with the role of radio in the political communication of Portugal. Radio had a minor role in Salazar’s propaganda strategy, and was poorly developed technically and culturally until WW II. The BBC’s Portuguese Service was launched in 1939, and Costa Ribeiro shows that it was a strategic response to the systematic propaganda of Goebbles’ RRG and Stalin’s Radio Moscow. He shows quite convincingly that BBC were good at “white propaganda”, which tends to be accurate, with identifiable sources, and aims to build credibility with the audience by presenting information that is close to the truth (p. 23), and by carefully omitting certain types of information. He also shows that the Portuguese public was quite sympathetic to the British, and based this on a analysis of a collection of hundreds of letters from Portuguese listeners and panellists sent to the BBC all through the war years. This material seems highly interesting, and could have been the topic of a more focused study. Ribeiro writes history, but he doesn’t create a narrative that is developed and played out during the 450 pages. The chapters are not properly interconnected, and it feels like a start-stop read. He accumulates historical knowledge about one topic after the other, while it is up to the reader to consider what is most interesting. And indeed, there are many intriguing analyses. Salazar’s “Estado Novo” regime did not put weight on mobilization of the public, but rather worked through the political system. This is completely different from the Nazi and Fascist regimes in other countries. There are several other gems of insight in the book, but there is no focus, and the potential for speculation is not exploited in a sufficiently self-confident way. Costa Ribeiro’s book is based on his PhD-dissertation, and it is characterised by the formal comprehensiveness and almost excessive detail of this genre. Ribeiro has written an omnibus text of his topic, and this is good for the examiners, but as a book in the academic public it is simply over-detailed. It should have been resolutely condensed by the publisher to make it more accessible to a general academic readership. In the marketplace the book will suffer from a dilemma familiar for those of us who write about minor national cultures (Norway in my case). The history from Portugal is too nationally focused to be of interest to an international readership, while the thematic background concerning propaganda, radio and WW II is already so well known that it is also of little interest. It is almost impossible to overcome this curse. I presume that the author contributes to the national history in a solid way, and that the book will probably become an important reference in Portuguese media scholarship. The most likely international readership of the book is Portuguese studies, and not media studies or journalism. Ribeiro doesn’t illustrate his history with maps, figures or most unfortunately; real sound. After all, sound is what it all boils down to, and in the 2000s it should not be difficult to include sound examples. Without sound examples the reader loses the strange and stimulating experience of shifting between being a reader of words and a listener to sounds. By not including sound, Ribeiro leaves out the core evidence, and the discussions of radio’s impact get more abstract and less tied to reality than what the emerging discipline needs.